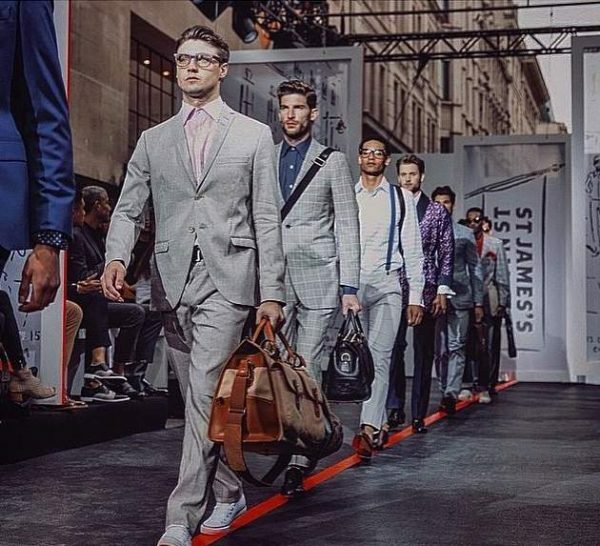 A couple of weeks ago, the Men’s Collections returned to London for another season and I was lucky enough to work backstage at five of the shows, assisting the delightful Maria Comparetto. 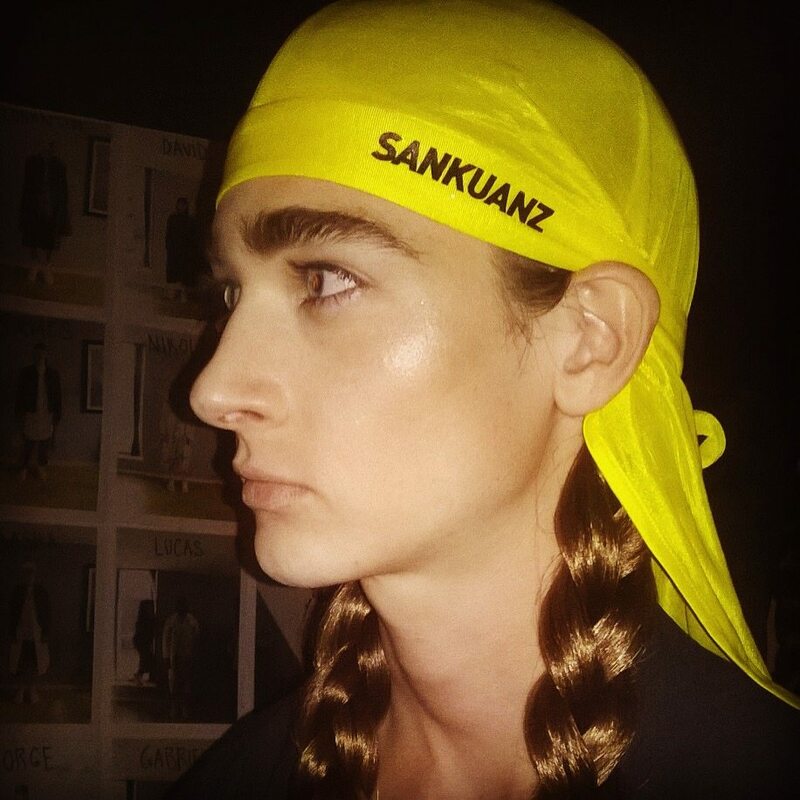 First up was the Sankaunz show, which is always a fun collection. The look Maria created was strong, beautiful boys with gorgeous skin. 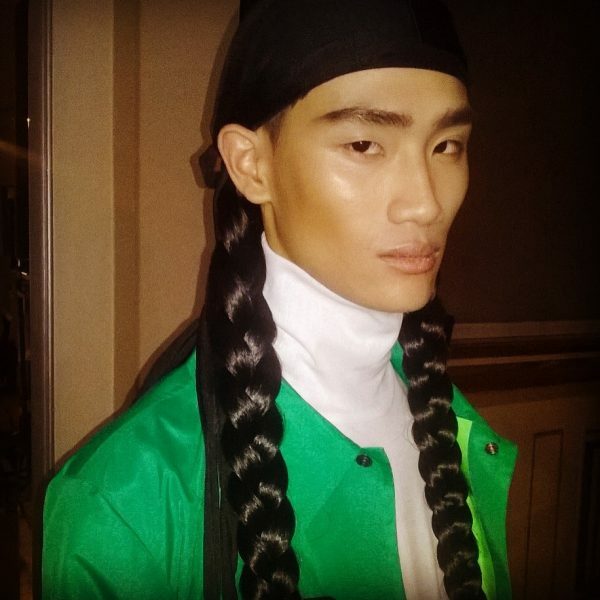 The hair (designed by Teiji Tsumi) was long, masculine braids. Saturday was a busy day for us with two shows. First up was Jermyn Street, which was all about tailoring so the boys had to be really well groomed with great skin. 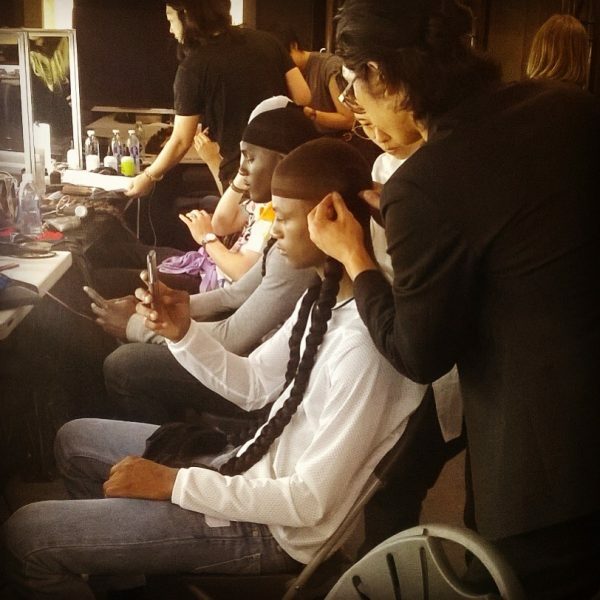 The hair team were Toni & Guy, who also created super groomed looks. 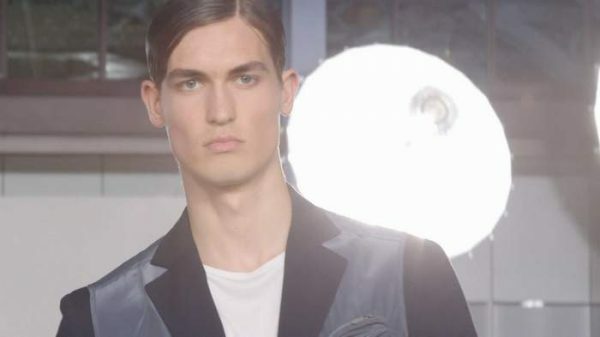 Saturday’s second show was Hardy Aimes, which called for perfectly groomed skin and slicked, parted hair by the Toni & Guy team. The show was held at the beautiful St Pancras Hotel, which was an amazing setting. 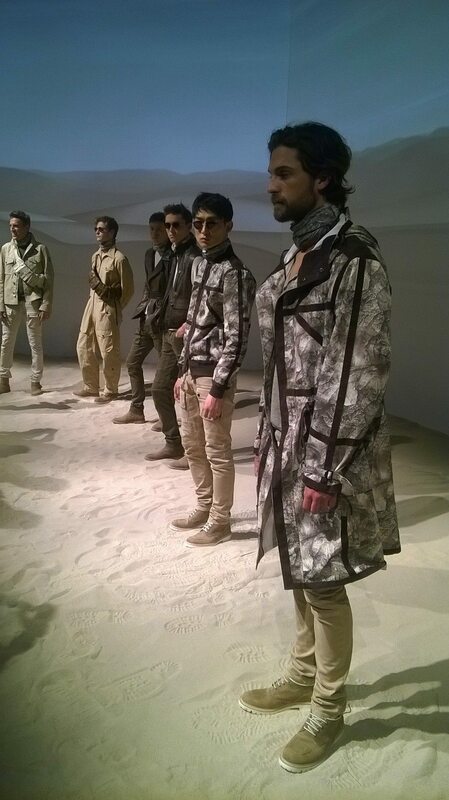 Sunday was the Belstaff presentation, which was slightly different to the previous shows. Rather than a runway show, the boys had to stand in a desert-like setting and guests were invited to look at all the pieces they were wearing. The Old Billingsgate Market was transformed into a desert setting with sandbags, trucks and HUGE amounts of sand! The collection was based on desert explorers, so Maria designed a look that gave the boys sun-kissed skin, hints of dirt and sand delicately placed across seas off the face. It was a lovely look to create. 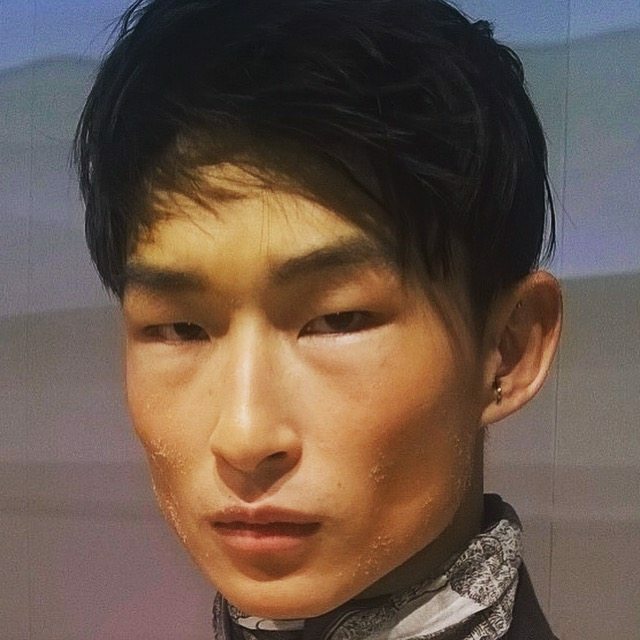 Monday brought the last show for Maria’s team, which was Sean Suen at GQ China. We did lovely clean skin and then a few selected boys were given a “pastel, powder pop” on the side of the cheek. 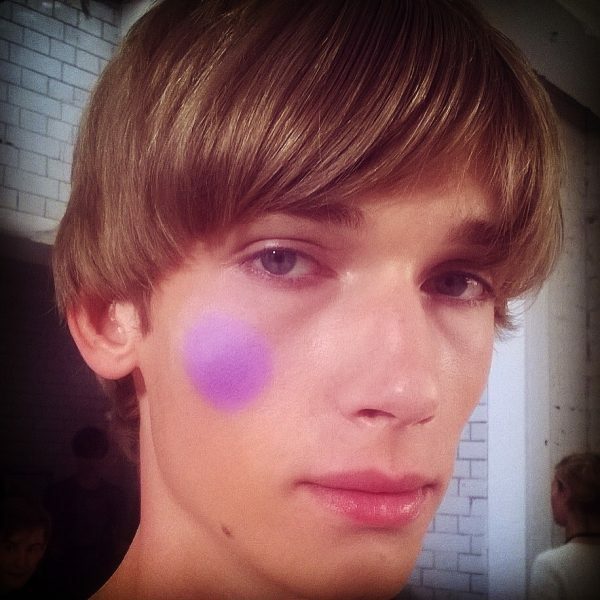 The idea was that the boys had played with their mum’s makeup collection and put a powder puff onto their face. There were a variety of colours used – lilac, green, coral, blue and yellow. I had a great season with Maria’s team! The boys shows are always fun to be part of and they keep getting bigger and bigger. Can’t wait to see what next season has in store!